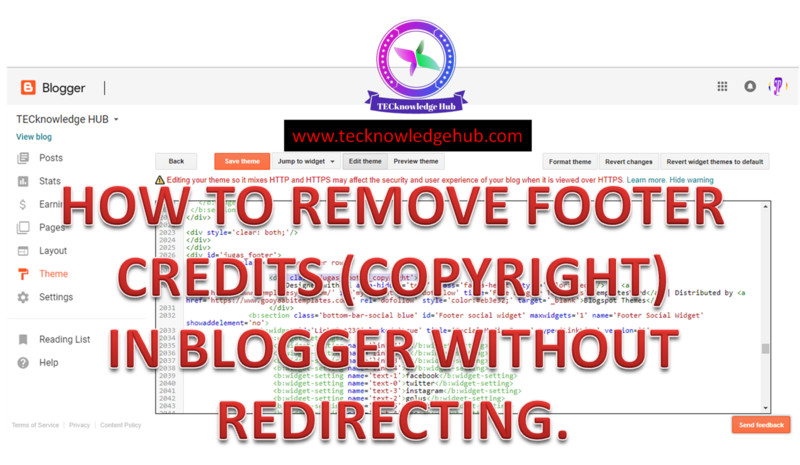 Home / blogger / copyrights / how to / remove footer credits / HOW TO REMOVE FOOTER CREDITS IN BLOGGER WITHOUT REDIRECTING. 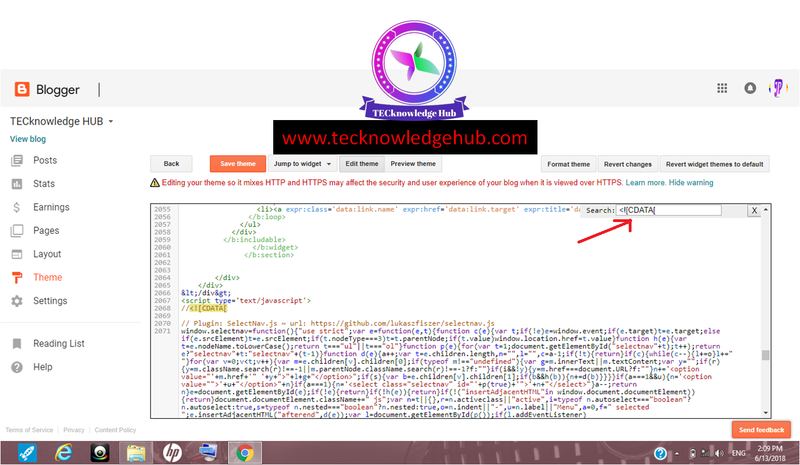 HOW TO REMOVE FOOTER CREDITS IN BLOGGER WITHOUT REDIRECTING. 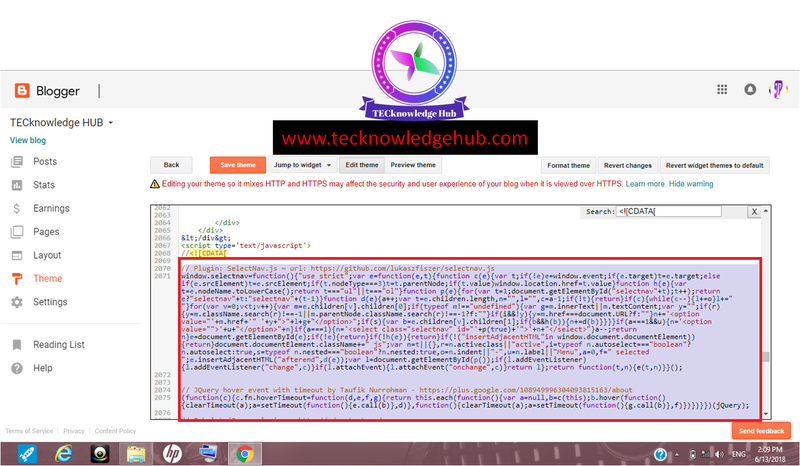 This is the main issue you may face when you add or download themes from any third party theme or templates providers. 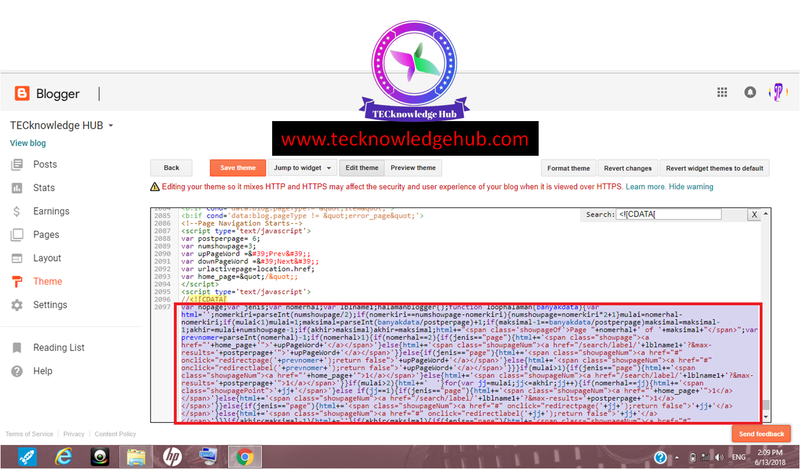 It displays their credits or hyperlink on the footer. 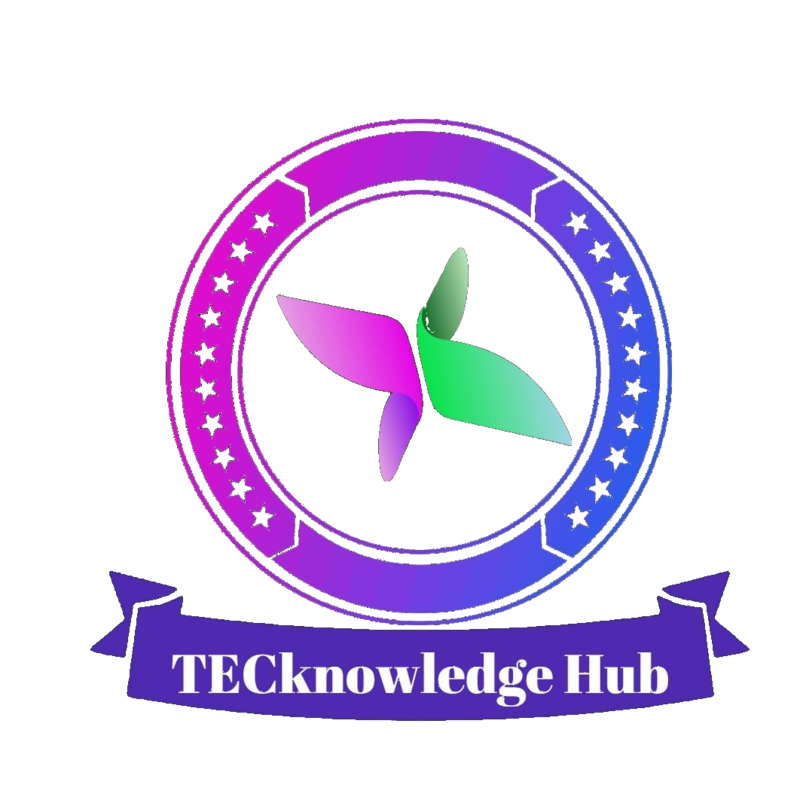 If you directly delete or alter the code of footer or copyrights , then when you open your blog, it redirects to that templates provider's site. so in order to avoid that issue you have two methods to be followed. 1. Hiding the credits or footer. 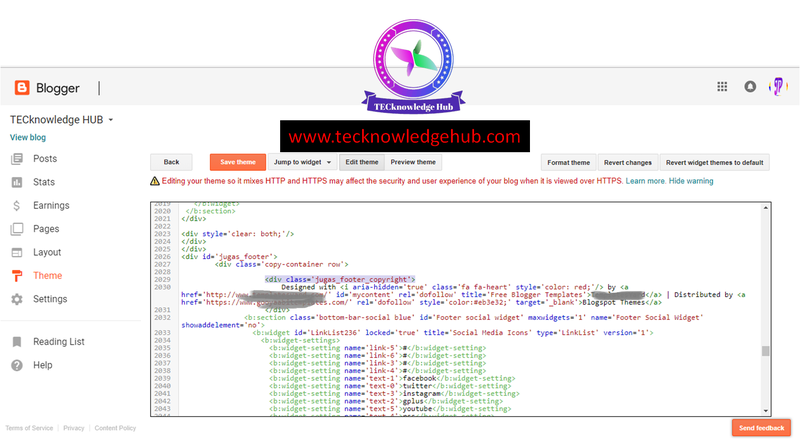 The method of hiding the credits or footer can be done by adding style='visibility:hidden' after element id. you may spot <div class='******'> The name inside the inverted commas would be different. 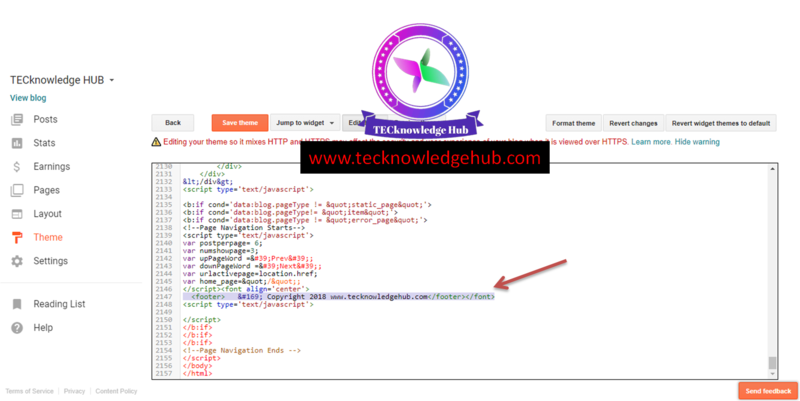 Tap or click anywhere inside the code area and press Ctrl+F to search any words inside the code area, a search box may appear on the right side top, Then type <! [CDATA[ and press search. Delete the script after the code <! [CDATA[ , select the entire code and delete it. 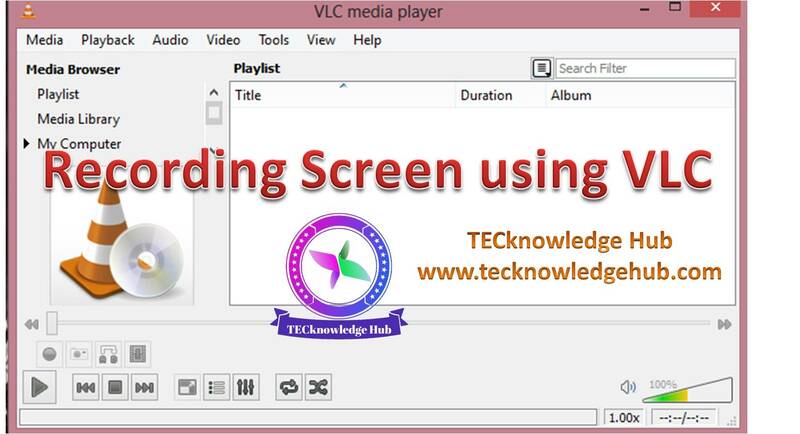 On scrolling down you may find the script again , mark them (select them ) and delete. Now once if you hide or remove the footer credits of your theme provider, you can enter credits or copyrights of your own. 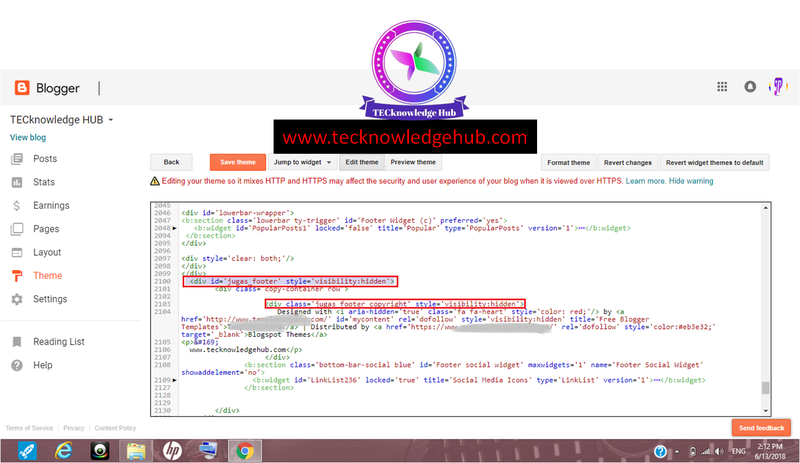 TO ADD YOUR OWN FOOTER CREDITS (COPYRIGHTS) . and the code for copyright symbol © is &#169 . You can align to center because initially it appear in the left side by default.